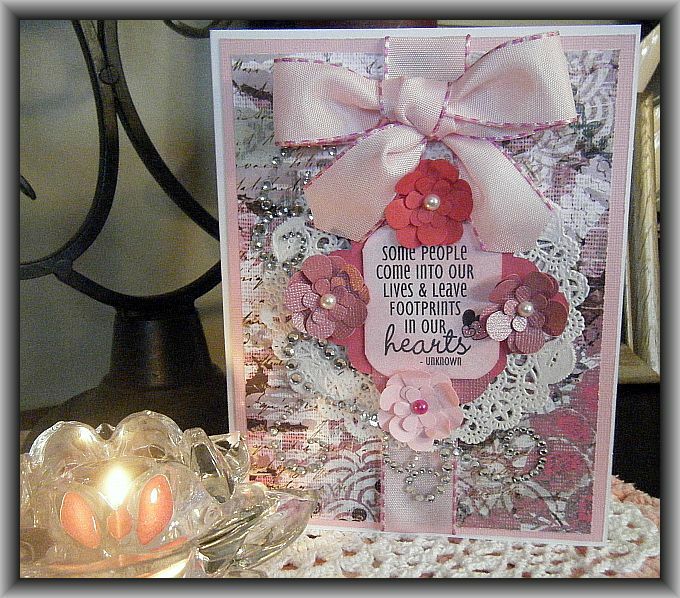 Featured Stamper Challenge – Congrats Patter! Phew! Talk about under the wire!! 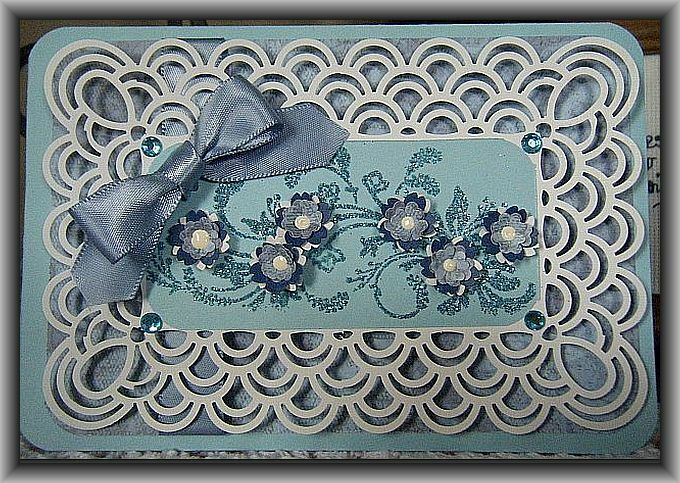 Here is my submission for the Splitcoaststampers Featured Stamper challenge…. 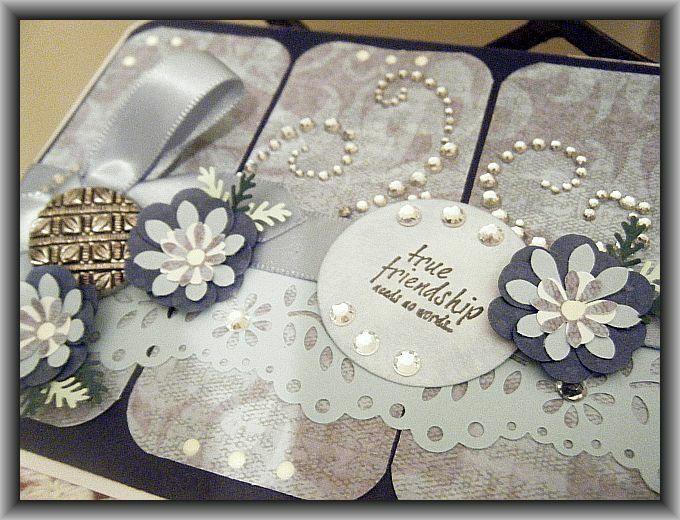 The sentiment is from KaiserCraft – Friendship Sentiments. 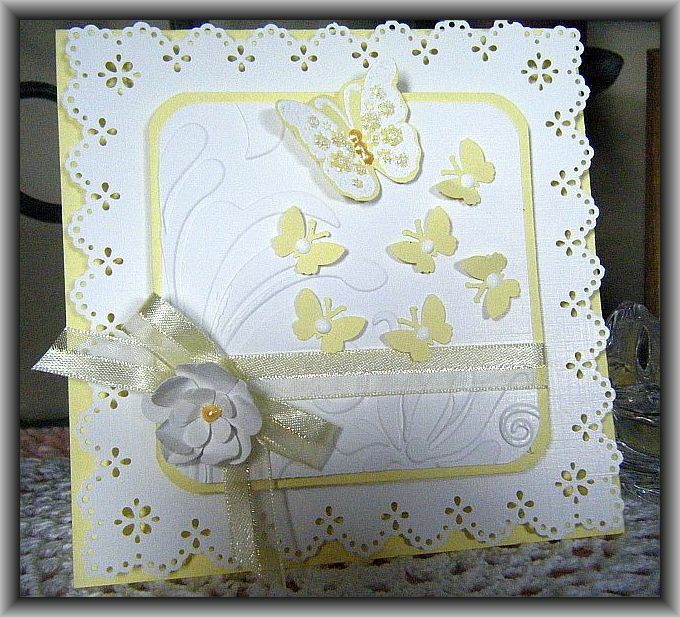 A card to Support Andrea…. 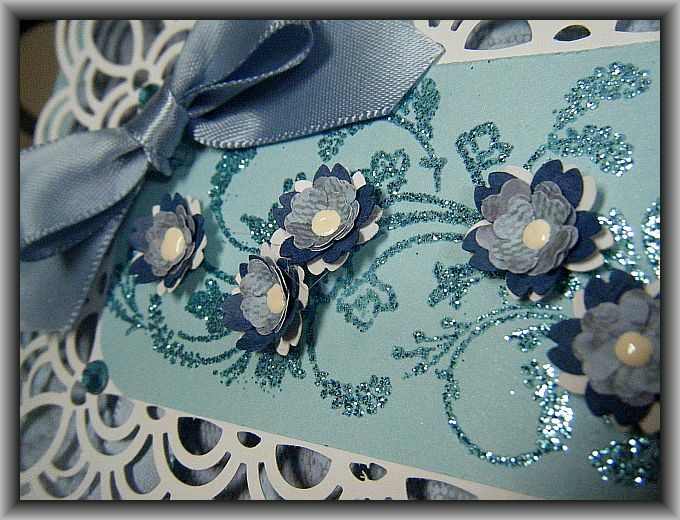 Andrea Ewen – http://www.ewenstyle.com/ is one of my favourite card makers on Splitcoast. My eye is drawn to every one of her creations and I follow her blog weekly (that’s part of the reason why my housework is never completely done) Oh well, it could be worse huh? 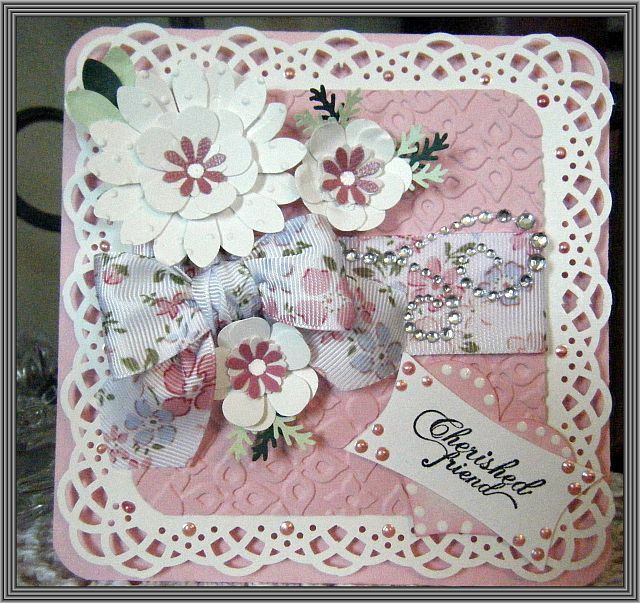 I made this card to support her as she is a guest designer at the Shabby Tea Room – http://theshabbytearoom.blogspot.com/2011/07/week-70-flower-power.html Congrats Andrea!! Consider this a little thank you for sharing all your beautiful creations. Your blog is an endless supply of inspiration for me! BTW… The candle represents the fact that I couldn’t hold a candle to your card creations, but it’s a TON of fun trying!! LOL! I have been playing with combining different punched flowers and I really like how these ones turned out. 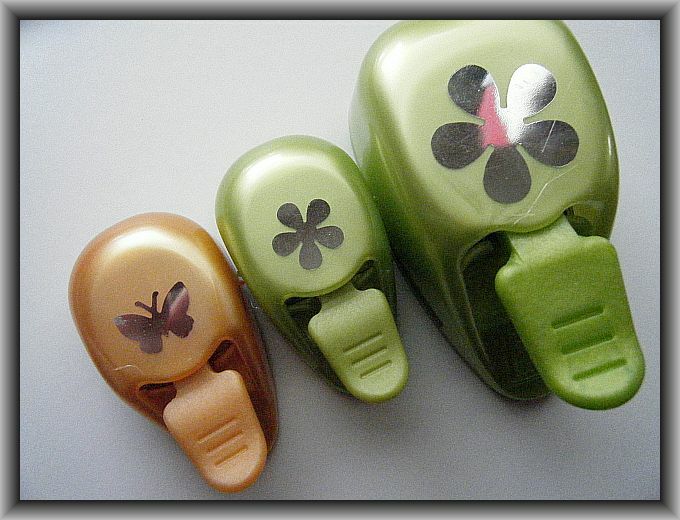 Here is a closer look..
And another where you can see how the flowers are popped up…. This was a really fun card to make! I have been so obsessed with this punch around the page thing, I can’t seem to stop myself! 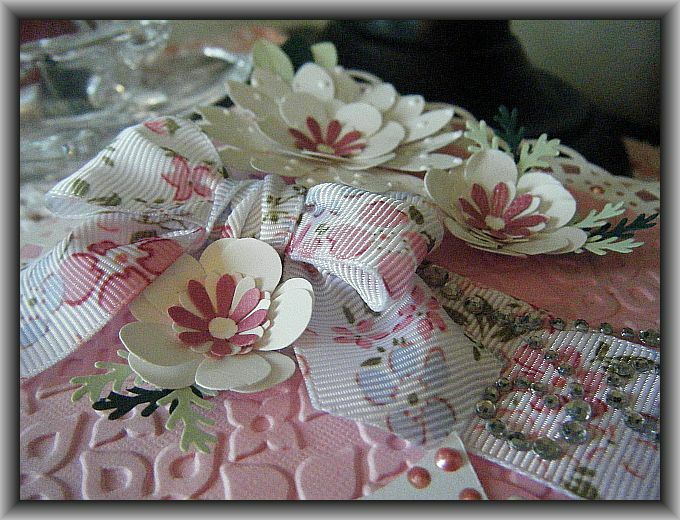 I have been drooling over the flowers made by a lady that goes by kittie747 on Splitcoaststampers. Her blog is an absolute thing of beauty! She has loads of tutorials on there and tons and tons of inspiration! 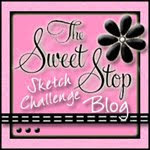 Her blog address is: http://kittiekraft.typepad.com/kittiekraft/ Thanks Kittie for all the wonderful tips and inspiration! 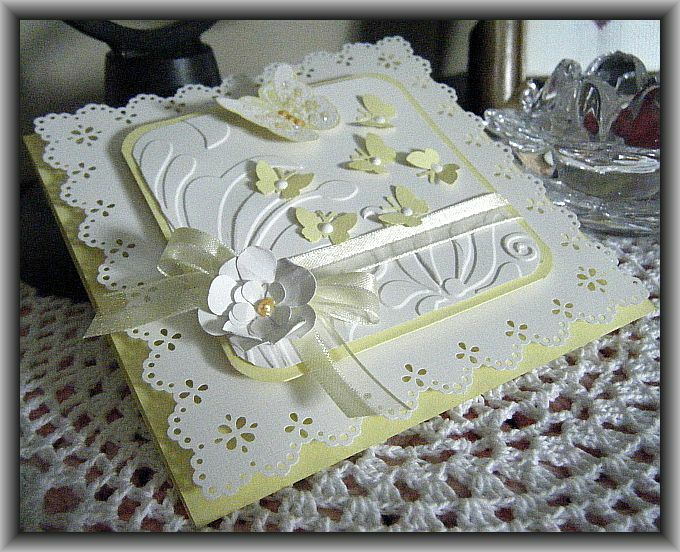 The stamp I used for this card is made by Inkadinkado – Flower Flourishes. 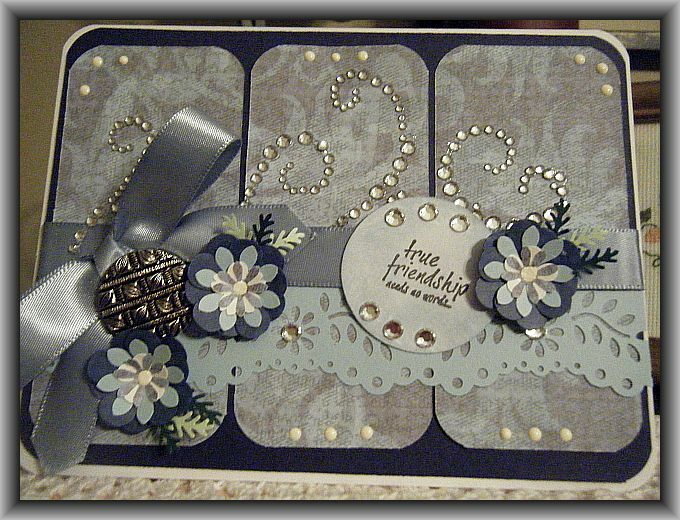 I stamped it with my embossing pad and heat embossed it using Martha Stewart’s Turquoise embossing glitter. 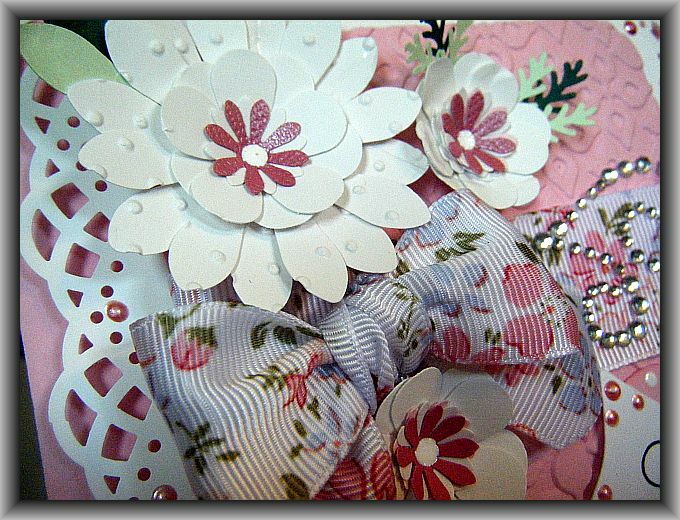 Now a close up of the Kittie inspired flowers…. 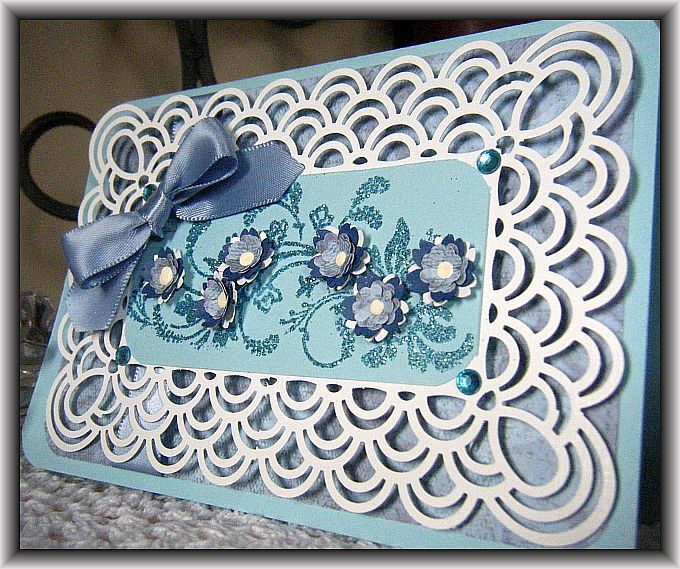 This card is another pretty little all occasion card I will add to my stash.